After requesting a rideshare and exchanging pleasantries with the driver, I immediately asked him about the water situation. He told me that the city is doing much better now and that the dams are at 56% capacity compared to 10% at its lowest point in August 2017. 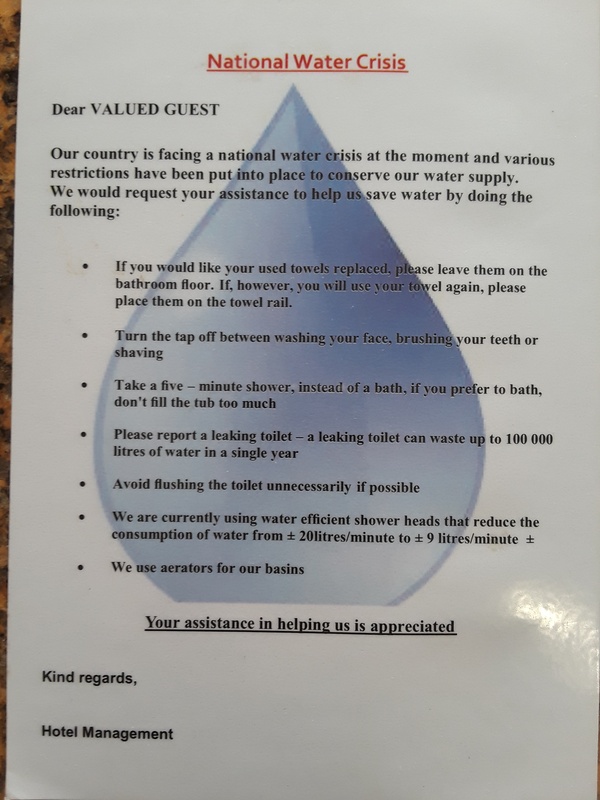 When checking into my hotel, I asked the receptionist her thoughts on the water crisis and Day Zero. She said that, while the whole planet is enduring a water crisis, it is a purely political problem in South Africa. 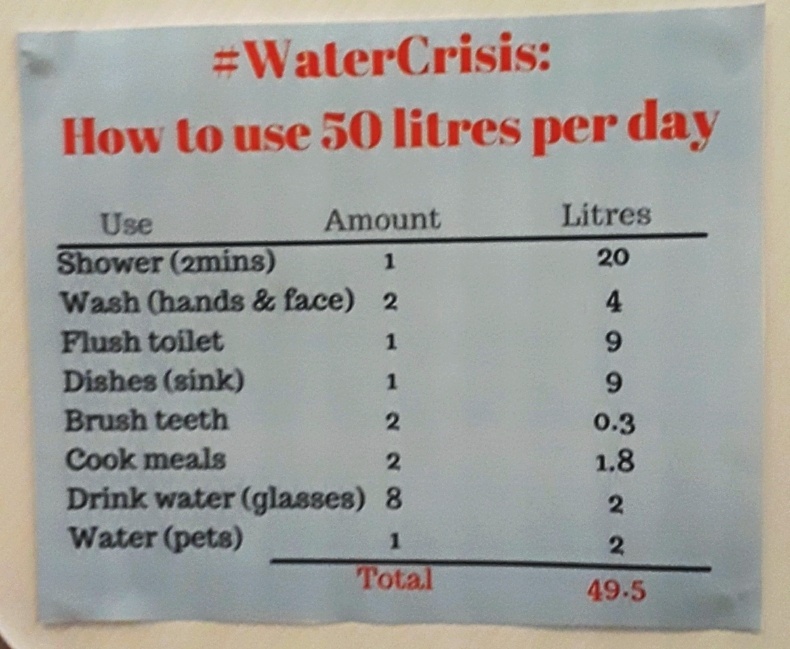 "#WaterCrisis: How to use 50 litres per day"
In my room I found several signs and letters asking me to cut back on water usage. I also noticed that laundry services were more expensive, and there were more signs in the lobby and café that asked for water conservation. During my survey, I noticed that supermarkets were well stocked with bottled water, and there were no extra bottles on the floors of grocery stores or long lines of people exclusively buying water. Most people I spoke to, including realtors and relocation agents, took the whole situation very seriously and told me that they take shorter showers and do laundry less frequently. Despite this public concern and the many advertisements for boreholes and large water tanks I saw, the city did not feel like it was going through an imminent crisis. Even though Cape Town is at the center of the water crisis in South Africa, other cities in the country joined the efforts to combat the arrival of Day Zero. 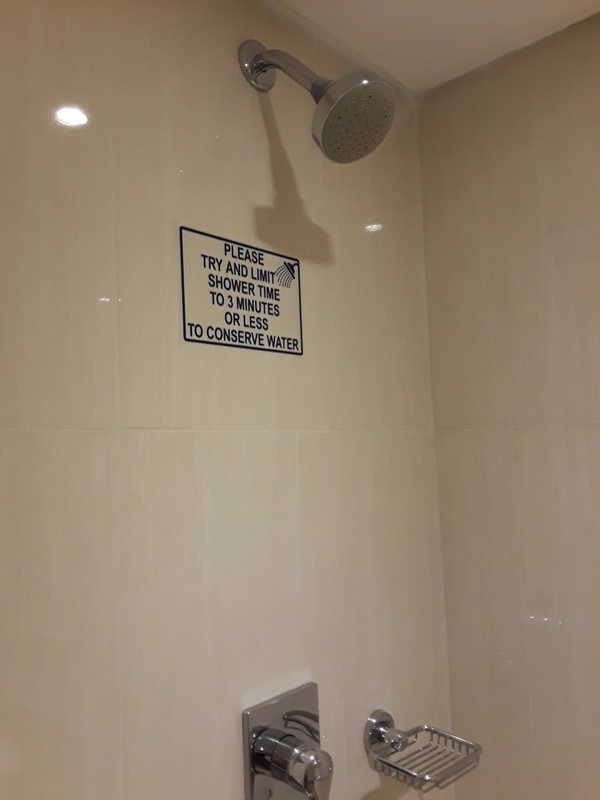 In Johannesburg, the hotel I stayed at placed several letters asking me to conserve my water usage, and even placed a sign in the bathroom asking to limit my shower to just 3 minutes. They referred to the situation as a “national water crisis” and took it just as seriously as in Cape Town. The city continues to measure its dam levels and, at the time of writing, it was up to 76%. Day Zero has been pushed back even further! 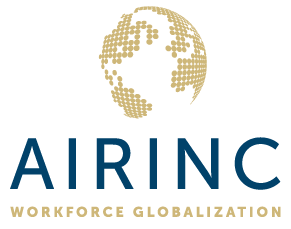 Want to learn more about how AIRINC can help address your hardship needs? Click below to learn more about our product offerings or click here to start a conversation with your client services representative today.